Michael Nonaka - For the Industry. By the Industry. 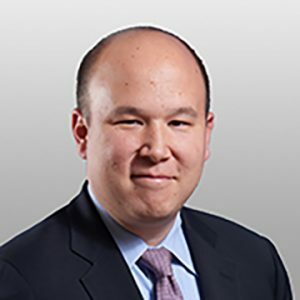 Michael Nonaka is co-chair of the Financial Services Group at Covington & Burling LLP and advises banks on a broad range of compliance, enforcement, transactional, and legislative matters. He has worked extensively with federal and state banking agencies and with other federal agencies authorized to regulate financial services. Mr. Nonaka also plays an active role in the firm’s Fintech Initiative and works with a number of banks, lending companies, money transmitters, payments firms, technology companies, and service providers on innovative technologies such as blockchain, bitcoin and other cryptocurrencies, big data, cloud computing, same day payments, and online lending.